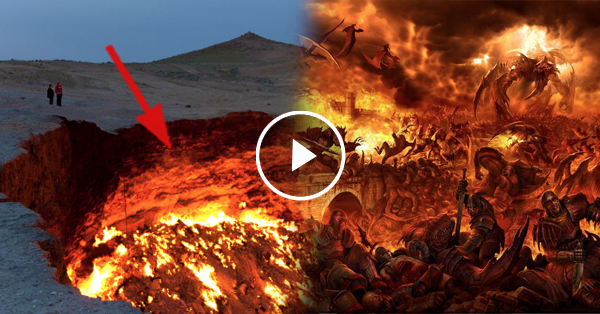 Scientists have unbelievably discovered a hell! Shocking! Home / Health / Scientists have unbelievably discovered a hell! Shocking! During our childhood, elders have always taught us that hell is the place where all bad guys live. They claim that hell is the opposite of heaven and it is a place that is filled with fire and lava. But then, what would you do if I tell you that because of Engineering, a hell was discovered? Will you believe this story? NASA or the National Aeronautics and Space Administration has recently discovered a planet that describes what hell is. They've recently discovered a planet called Cancri 55 that fits all the descriptions of a hell. This planet is said to be twice as large as the planet earth. It's hemispheres are infernal. One side burns with lava while the other was filled with darkness. Its atmosphere contains a poisonous gas called hydrogen cyanide which emits high levels of radiation. The temperature in this planet was said to be 2,000 degrees celsius and the night side is 1,500 degrees celsius.